It’s an Open Forum! New here? Check out our New TAYtorial to get involved! Or: just jump right into the discussion topic, or comment about anything you’d like. Want more? Take a look at some of the articles on TAY or TAYClassic. Hello again, I’m your host for Tuesday’s forum, Tim. 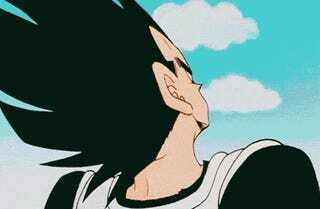 Jumping right into it today: ever feel like Vegeta? Ever just do something minor to spite somebody as an act of small revengeance (to clarify: revenge-vengeance)? Make a statement about something? “Accidentally” insult your boss? Let’s hear it! Hope we don’t get too negative today. This seems like a bad start. Of course, please don’t feel obligated to stick to the topic selected for the day— talk about whatever you like! It’s an OPEN FORUM!